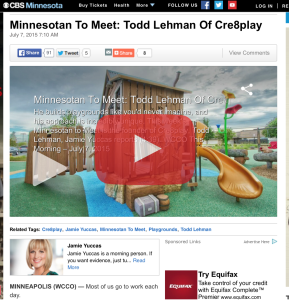 Todd Lehman, Cre8Play ‘Design Guy’ and Owner of Cre8Play shares his story with CBS Local affiliate WCCO on their segment, Minnesotan to Meet. 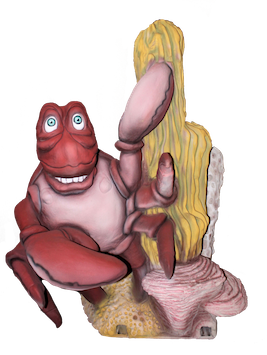 Go behind the scenes and see how Todd, often referred to as the Willy Wonka of playgrounds, has a very different approach to play design. Watch the video for a sneak peak inside the artists’ studio!